The full Commander lists should be coming out this morning, and while we’ve had a lot of cards move as a results of the cards we’ve been shown, I refuse to buy anything until I know the whole list. I’d feel like crap if I bought forty copies of Future Sight only to have it be in the deck. It’s a dangerous play, unless you stick to the Reserved List, and so I’m staying away. If you have some of these things that have spiked, get rid of them. Magic players are pretty fickle, and you have to catch the wave while people are caught up in the hype. Put another way: I hope you sell your Wall of Junk copies now, while people are buying them at $3 like total maniacs. 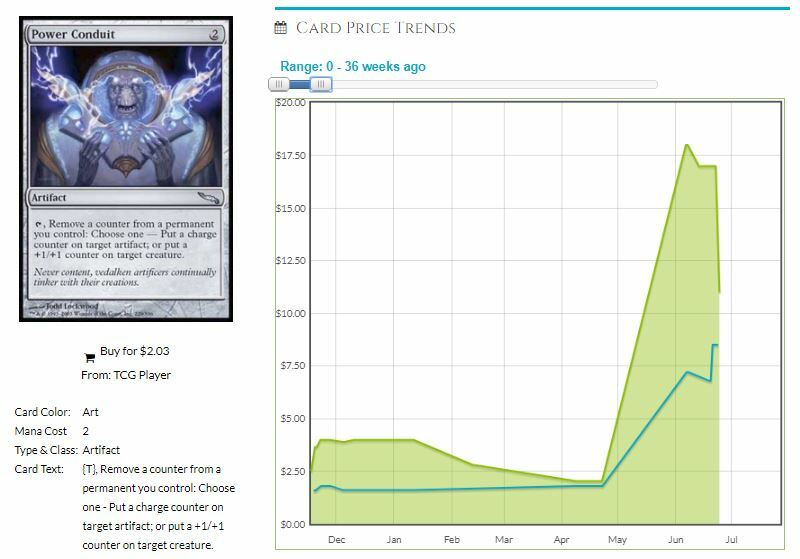 Here’s the graph for another card that I called, that spiked, and settled down at a reasonable price: Power Conduit. Could sell at $20, or at #10 a couple weeks later. Your call! Yes, you have copies that sold at $20 on eBay during the peak. Buylist is now in the $6 range, and there’s LP foils on TCG for $8 at the moment. Sell when it’s hot! Don’t hesitate, don’t hold out! Now the opposite is happening with Rivals of Ixalan. We’re roughly four months from when the set was being opened, and remember that this set was opened about half as much as Ixalan itself was. Supply is smaller, and Masters 25, forgettable as it was, did come out a month before RIX was done. Smaller supply means there’s more potential for big hits, and today, I want to take a look at a few RIX cards. I like all of these, because the risk of reprint is pretty low. Path of Mettle is by far the lamest, and if you want to stay away I totally understand. The other four are are defensible in most Commander decks of their colors, and they offer uniquely powerful effects. None of them are going to become staples the way Search for Azcanta has, but you’re getting in on the ground floor here. Storm the Vault foils have crept up a little in recent days, and if the UR Artifacts decks really take off, this is a prime candidate to get broken. Tolarian Academy is super-mega-banned in Commander, so this is all we’ve got. I’m pretty surprised that assorted Esper decks haven’t been using Profane Procession, but considering that UW can win by tucking their own Teferi, Hero of Dominaria and decking the other player…that’s sort of the dream in a UW deck. Why waste slots on win conditions? Timestream Navigator ($2 regular/$8 foil): There’s something about a $2 mythic that just calls to me. It’s just good enough to not be a bulk mythic, but not good enough to be even the price of a pack. Yes, this is highly conditional for taking another turn and not something Standard wants to fool around with, but your entry point is so low that this needs to be thought about. At the very least, you’re picking up something that will eventually get taken out of your binder, when you meet that person who’s putting all the Time Warp effects in their deck. There’s more of them than you think. Seafloor Oracle ($1.50 foil): Holy hell, I didn’t know this had sunk so far! I don’t think it’ll ever see Modern play, tempting as it is, but I think this is one of the first additions you cram into any Merfolk tribal deck, and we’re about to get a new Bant merfolk legend! Yes, her focus is enchantments, but let’s not overlook what you’re getting in this legend: all the awesomeness of the Lorwyn set, plus the extra abilities of the new green ones, and the plethora of lords that the set has had anyway. They seem unassuming don’t they? Don’t be fooled! This is the foil graph, just a steady upward trend! 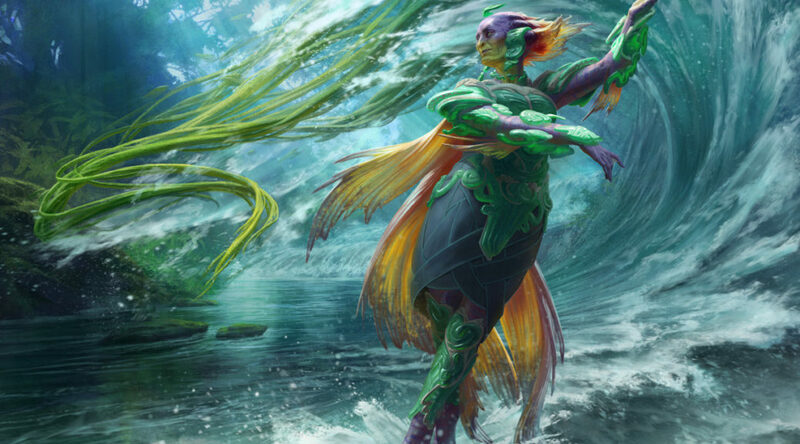 In case it’s not clear, I like the Merfolk deck to be the next round of spikes. Tendershoot Dryad ($5/$9): The ratio is out of whack on this one. For a $5 card, I’d expect the foils to be around $15. 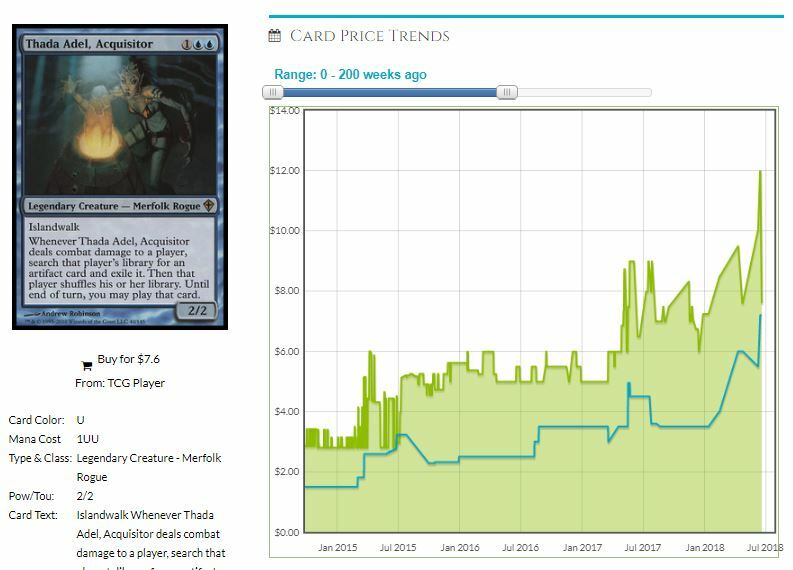 With a foil price this low, I’d think that the card was seeing a lot of Standard play (See History of Benalia for another example.) but that’s not the case here. I suspect that a lot of copies of this card have been soaked up by the casual market. It’s only listed in 700 decks on EDHREC, but I think there’s a lot of players who are stuffing four copies into some 63-card deck that doesn’t stop at only 20 tokens. At any rate, there’s higher demand for this than can be accounted for, and especially I like the foils for long-term growth. If the nonfoils can hold $5, this should be a more expensive card. If nothing else, pick up your foils now while they are still cheap. Cliff has been writing for MTGPrice for five years now, and is an eager Commander player, Draft enthusiast, and Cube fanatic. A high school science teacher by day, he’s also the official substitute teacher of the MTG Fast Finance podcast. If you’re ever at a GP and you see a giant flashing ‘CUBE DRAFT’ sign, go over and say hi, and be ready to draft.